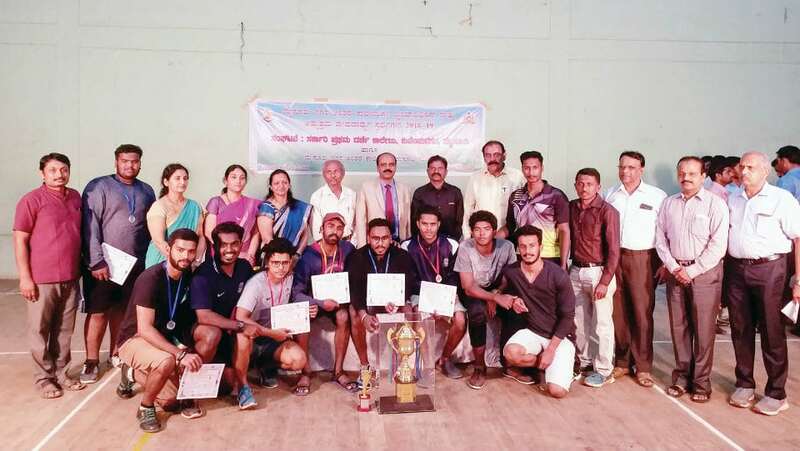 The Amruthamayi College won the Mysuru City Inter-Collegiate Weightlifting Championship title with 19 points in the Championship held at the University Gymnasium Hall here recently. Basudev Somani College, Mysuru, finished second with 16 points. 56kgs: 1. R. Venkatesh Nayak (NIE), 2. M. Sachin (Govt. FGC, Kuvempunagar), 3. A.J. Parthasarathy (Amruthamayi College); 62kgs: 1. V.K. Vyshak (Amruthamayi College), 2. Ganesh Mastigond (NIE), 3. Honlem Y. Konyak (NIE); 69kgs: 1. H.N. Kumar (JSS College, Ooty Road), 2. V.P. Akshay Raj (Amruthamayi College), 3. Akshay R. Das (NIE); 77kgs: 1. V. Sranav (Amruthamayi College ), 2. B. Chandra Raj (Govt. FGC, Kuvempunagar), 3. Atul Kumar Shukla (NIE); 85kgs: 1. S. Yogesh (Basudev Somani College), 2. B. Unni Krishnan (Amruthamayi College), 3. Sanju Nayak (Govt. FGC, Kuvempunagar). 94kgs: 1. B.R. Paran Jyothi (Sarada Vilas Law College), 2. S. Rakesh (Basudev Somani College), 3. Raheel Raghia Zaheer (NIE). 105kgs: 1. B. Manush (Basudeva Somani College), 2. S.R. Rahul Kashyap (Basudev Somani College), 3. Abhishek Agarwal (NIE). Above 105 kgs: 1. J. Purushotham (SDC College), S. Nandakumar (Amruthamayi College), 3. M. Sanjay Kumar (NIE).